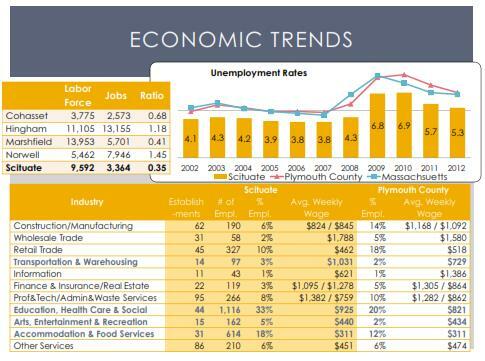 Scituate Economic Development Market Analysis - Community Opportunities Group, Inc. The Town of Scituate engaged the Metropolitan Area Planning Council (MAPC) to create an economic development strategy. As part of this effort, MAPC retained COG to prepare a detailed market analysis of Scituate’s three existing commercial areas, and evaluated the potential for expansion of commercial development along the Route 3A Corridor. Led by Roberta Cameron and Courtney Starling, COG conducted outreach to businesses, commercial property owners, and community officials to identify issues and opportunities for growth in a range of market sectors.